Home to the coolest pool in all of Walt Disney World and swimming with activities for every member of the family, Disney’s Beach Club Resort offers a relaxing waterfront getaway for families with a taste — and a budget — for luxury. 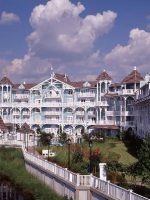 Modeled after the Stick Style cottages and resorts common at the turn of the century in Mid-Atlantic beachfront towns like Cape May, N.J., the 576-room, blue-and-white Deluxe Disney resort was designed by architect Robert A.M. Stern and debuted in 1990. Architectural details, such as exposed trusses, are complemented by decorative elements like wicker furniture and a seashell motif, and themed offerings like a nightly New England Clambake, sand volleyball and campfire sing-a-longs on the beach transport visitors to the seashore year-round. Sister to the somewhat formal Yacht Club Resort, and sharing facilities with that resort and Disney’s Beach Club Villas (a Vacation Club property), the property is a short walk or boat ride from Epcot and Disney’s Hollywood Studios and convenient to the vibrant nightlife scene at the neighboring BoardWalk Resort. You know you're at a deluxe resort when the bed you're sleeping on -- as well as the fluffy duvets, waffle woven blankets and even the pillows -- are offered for sale in an exclusive in-room catalog. 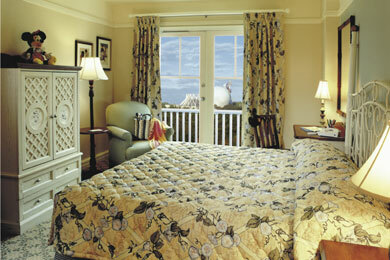 At the top of the Walt Disney World lodging ladder in terms of luxury and design, 400-square-foot standard rooms at Disney's Beach Club Resort cradle guests in comfort, with plush mattresses, luxurious linens and upgraded amenities like alarm clocks with iPod docking stations, marble vanities with makeup mirrors (though bathrooms are surprisingly small) and extra bubbly shower gel by H20 Plus. Renovated in 2009 and scheduled for another refurbishment in 2014, rooms are classically furnished and feature sand- and surf-themed linens and accessories, with seashells, beach balls, boats and buoys found in wall coverings, accessories and accent pillows and special touches, like a classic character desk lamp and several Hidden Mickeys. In addition to a desk/dining table with two chairs, a flat-screen TV and complimentary Wi-Fi service, each room features a wall-mounted hair dryer, a coffee maker and a dresser/cabinet housing a mini-fridge (bring a hair tie or a zip tie to secure, if you're traveling with little ones). Rollaway beds are available for a fee, and the resort will deliver complimentary Pack 'N Plays, bedrails or a microwave to your room upon request. Standard rooms sleep up to five and come with a king bed, two double beds or two queen beds, and many contain a daybed or a sleeper chair, as well. Priority for daybed rooms is given to families of five and there is a $25 nightly surcharge for more than two adults in a room. 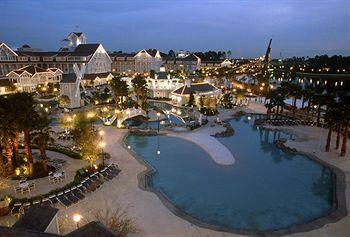 If you want to see water, plan to pay around $90 to $120 more per night for a lagoon or pool view standard room. For an extra $135 to $200 per night, you can upgrade to a deluxe (water view) Concierge Level room, which will gain you 25 percent more space, as well as plush robes, a DVD player with complimentary rentals and Concierge level privileges. Besides four daily food and beverage presentations at the private Stone Harbor Club lounge, Concierge Level guests enjoy perks like personal onsite assistance and pre-trip itinerary planning service. Parents who don't want to be prisoners of the dark after the kids crash for the night have a number of space-stretching options. If you have the extra cash, you can book connecting rooms or spring for a Concierge Level suite, which accommodates three to seven and has separate living and sleeping areas. Of course, you could always check-in to the Beach Club Villas next door -- these home-away-from-home Disney Vacation Club accommodations offer flexible room arrangements, plus some additional family-friendly features like a washer and dryer and a full kitchen. With regard to room location, proximity to elevators is key for families. Though a bit further from the Stormalong Bay recreation complex, rooms near the Tidal Pool are close to a less-used elevator bank and coin-operated laundry facility, and are convenient to lobby services. Considered to be the best in all of Walt Disney World, this three-acre water park pool sits on the shores of Crescent Lake and features a sandy bottom, a 230-foot shipwreck waterslide and three separate lagoons with whirlpools, waterspouts and a circular lazy river. Good luck trying to peel your party away from the splash-happy action -- and honestly, how could you blame them for protesting? Kids big and small can play for hours in the shallow sand lagoon, and there are two separate kiddie pools -- one with its own pint-sized waterslide. Organized activities for kids and families begin around 1 p.m., with the majority occurring poolside and in the water. Daily itineraries range from rubber duck races and bucket relays to Disney family trivia contests and karaoke dance parties. 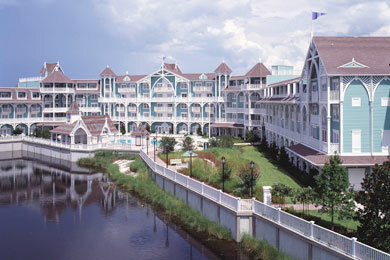 A resort keycard or Magic Band is necessary for entrance, and ports of entry are closely monitored. Swim vests are available for free at Poolside Gifts, where you can also rent inner tubes or buy pool noodles, sunscreen and swim diapers (required for non-potty-trained children). An army of lifeguards staffs the pool, but given its size and design, families with multiple children might find it difficult (and unsettling) keeping tabs. 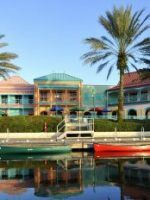 For those seeking calm and a clean set of clothes, the Tidal "Quiet Pool" is located on the Epcot side of the resort, close to two coin-operated laundry facilities. On the Yacht Club side of the pool, there's a shaded playground (recommended for ages 3 to 12) and near the beachfront promenade, a Hair Wrap Station (open 10 a.m. to 5 p.m.; $2 per inch, plus beads) and the Pearl Factory (9 a.m. to 11 p.m.) -- a design-your-own pearl jewelry kiosk -- give guests more opportunities to shell out their Disney dollars. Offering around 60 games, this pool-area fun spot is open from 6 or 7 a.m. to midnight (hours vary). Here, you'll find a sand volleyball court, lounge chairs for sunning and a nightly Campfire Sing-Along (free) with S'mores (fee), followed by complimentary star-lit showings of popular Disney movies. Swimming is prohibited. Located off the main lobby, the onsite childcare center (for kids ages 3 to 12) offers a number of activities for older children, too, like Wii, PlayStation, board games and puzzles, as well as plenty of playthings for little ones like a dress-up corner, a kitchen center and lots of vehicles to rev and race. You can check out the staff and the facilities -- and bring kids of all ages along for the fun -- when the Club hosts complimentary Craft Time from 1 to 3 p.m. daily. Club hours are 4:30 p.m. to midnight. Cost is $11.50 per hour, per child; 24-hour advance reservations are (407-939-3463) requested. One of four onsite dining spots, this must for families is more "buffet" than "cafe." The venue hosts a daily character breakfast (7:30 to 11 a.m.) with Admiral Goofy and the gang, as well as a nightly buffet (5:30 to 9:30 p.m.) with clambake fixins' and more. 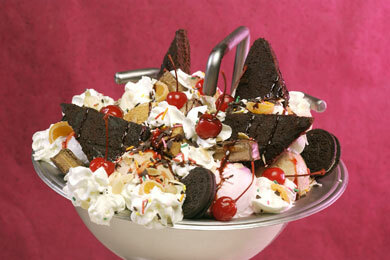 Famous for its gargantuan Kitchen Sink Sundae (yes, it's really served in a "kitchen sink"), the 50's-style diner has a reconditioned Wurlitzer jukebox and a soda fountain and serves burgers, sandwiches and crave-worthy Milky Way sundaes. It's small and popular, and lines can linger -- visit at an off-time, if you can. Lunch and dinner are served 11 a.m. to 11 p.m. The only resort location offering quick-service breakfast, this bustling shop sells limited groceries, as well as breakfast croissants, salads, hot and cold wrap and roll sandwiches and homemade gelato. It features a Grab and Go section, as well. By far, the best breakfast deal -- both size and nutrition wise -- is the made-to-order yogurt parfait with granola and berries. The staff is super-friendly, too. Beach Club Marketplace is open 7 a.m. to 11 p.m., with limited seating. This casual spot by Stormalong Bay Pool serves kids meals in a sand pail, along with a shovel. Kids' choices include a cheeseburger, grilled cheese, grilled chicken sandwich and chicken nuggets -- all come with a choice of 1 percent milk or water, as well as carrots and watermelon. Whole fruit, hummus with veggies, chocolate chip cookies, frozen lemonade and gelato are on the snack menu. Lunch is served, and hours are seasonal. Refillable mugs (pricing dependent on length of stay) include unlimited hot and cold (non-alcoholic) drink refills at Beach Club Marketplace, Beaches & Cream and Hurricane Hanna's Grill. 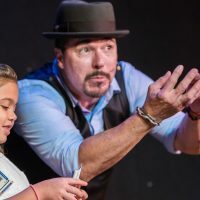 If you're looking for something a little stronger in a more subdued setting, check out Martha's Vineyard Lounge (5:30 p.m. to midnight), next to the Cape May Cafe. At the Beach Club's next-door neighbor, you can stretch your palate and your pocketbook at four additional drink and dine venues. 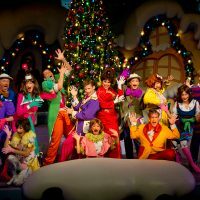 Options include Captains Grille (7:30 a.m. to 9:30 p.m.), Yachtsman Steakhouse (dinner, 5:30 to 10 p.m.), Ale & Compass Lounge (breakfast, 6:30 to 10:30 a.m.) and Crew's Cup Lounge (noon to midnight). Kids can enjoy Mickey waffles or cookies and milk in their pajamas, or choose from a selection of the usual favorites like hot dogs and chicken nuggets. Whole pizzas are available from 10 a.m. to 10 p.m., and for around $55, you can order up an in-room "Pizza Party" for four. 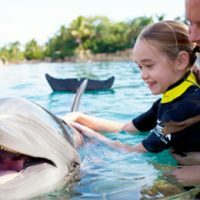 From white-gloved lobby greeters who hand out stickers to friendly Marketplace employees who make a habit of admiring families' newest additions, cast members at this resort really go out of their way to make kids and parents feel appreciated. Wi-Fi is complimentary throughout the resort and guestrooms. Ship Shape Health Club offers some of the latest in exercise equipment, as well as massages (by appointment). An attendant is on duty 6:30 a.m. to 7 p.m. and access is available 24 hours with a venue-activated resort key card. Next door, you can get a quick haircut or a pedicure at the tiny, but welcoming Periwig Beauty & Barber Shop (open 9 a.m. to 6 p.m.). You can buy limited groceries, as well as logo resort wear, souvenirs and baby and toddler supplies at this shop located next to the Sandcastle Club. Fortunately, for travelers on a budget, the least expensive times to visit Walt Disney World theme parks (Value Season) tend to coordinate with dates when crowds are the lightest. If your kids aren't in school yet, September is a great time to visit. Another prime time is after Thanksgiving through early December, when parks and resorts are decked out in holiday splendor. A visit to the life-sized edible carousel at Disney's Beach Club Resort is a guest tradition. From Orlando International Airport (MCO): Free roundtrip airport transportation via motorcoach is available to guests (advance reservation required; limited hours) via Disney's Magical Express. 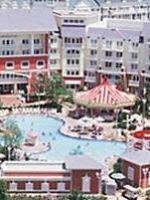 To reach the resort by car, take the South Exit Road from Orlando International Airport to SR 417 Toll Road (GreeneWay) West and follow signs to Walt Disney World/Disney's Beach Club Resort. Plan on about $3 in tolls. 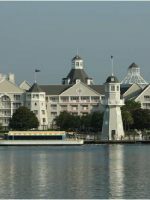 You can reach Epcot (five to 10 minutes) and Disney's Hollywood Studios (20 minutes) via a walkway, and complimentary daily boat service is provided to and from these parks. Free transportation to and from the Magic Kingdom Park and Disney's Animal Kingdom Theme Park, Disney water parks and Downtown Disney is provided by bus. If you're celebrating a special occasion, like a birthday or an anniversary, consider a splurge-worthy Evening Fireworks Specialty Cruise on Crescent Lake (call 407-939-7529 for reservations). 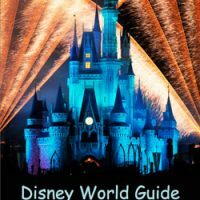 Alternatively, at no cost whatsoever, you can view Epcot's Illuminations show -- as well as the brightly lit BoardWalk Resort -- from a swing on the sandy beach or from a bench along the beachfront promenade.